The idea that “everything’s an argument” seems almost too obvious these days. After all, talk to almost any adolescent today and it’s clear how aware they are of the ways in which they are constantly being persuaded, whether it’s an editorial from the Wall Street Journal or The New York Times, the latest newscast from CNN or The Daily Show, or the pop-up mobile ad for an item students were browsing earlier. That said, we all know that as tech and media-savvy our Generation Z students seem to be, students may still lack the close reading, analytical skills necessary to understand not just that they are being persuaded, but how that persuasion is happening. And because “everything’s an argument,” the sheer volume of messages can be overwhelming. In the second half of the year, my writing course shifts to a more focused study of argument. We read and analyze several mentor texts together as a class, starting with speeches and letters, including an in-depth analysis of the classic “Letter from a Birmingham Jail” by Martin Luther King, Jr. (this year, I also paired King’s text with “The Future Needs Us” by Rebecca Solnit and the introduction from Writings on the Wall by Kareem Abdul Jabbar). Write their own original essay which defends, challenges, or qualifies a claim made by one (or more) of the arguments they studied. During the workshop, students had to read five arguments across three different media. As you can see HERE (separate link), I gave students four general categories—written, visual, auditory, and film—and asked that the five texts they chose came from at least three of those categories (for example, one student could read two written arguments, two visual, and one auditory, while another student could read three written arguments, one visual, and one film). My list of possible texts is by no means exhaustive. My goal was to think about the types of high-quality arguments they might encounter in major publications but that are also popular in their own social media feeds. I also wanted to expose students to additional sources of argument they might yet be unfamiliar. For example, I know that while I listen to podcasts regularly, podcasts are often a medium with which my students are less familiar. Yet after listening to an episode of Freakonomics or 99% Invisible in class, many students make a point to include podcasts in their own rotation of media consumption (Next year, I’ll include S-Town; the podcast came out too late this year for our workshop—or maybe I’ll do an entire unit around the podcast!). During their reading, students analyzed the line of reasoning in the arguments by completing an argument analysis chart. I wanted to keep things simple and focused, so a bare-bones chart was sufficient. Using this chart, students had to identify claims (including identifying what type of claims they were: fact, definition, cause, value, policy), support (what types of evidence was provided), and reasoning (why the evidence works to support this claim). This analytical work also dovetailed with our work using the Toulmin model earlier this year. I made the chart available for download so that student could work on the document in Word and then submit it online when they were finished. One of my favorite mini-lessons focused on how to get students writing from other arguments. We watched several StoryCorp animations during class, including Facundo the Great, Traffic Stop, and Clean Streets. (Just note that some of the StoryCorps texts may contain some upsetting material—Traffic Stop includes a police beating—so be sure to preview first.) Through a series of writing exercises in our notebooks, we 1) wrote a quick reaction to the animations, 2) identified what claims the video was making or what questions did it raise, and 3) brainstormed related and broader issues or topics that students could write about. We shared at each step through small group shares and whole-class whip-arounds. After they finished reading and analyzing the arguments, students began writing in response to one of the claims they identified. I allowed students to write in response to the major claim (thesis) directly, but I also encouraged them to simply be inspired by one of the arguments and respond more in-depth to one of the minor claims. Students had to write two 800-word essays. Each essay had to argue—to make a claim (fact, definition, cause, value, policy) and to support that claim from their own readings, experiences, and observations. Because the essays had to be relatively brief, I did not require students to do extensive research (that type of research-based essay is our next assignment). I asked students to think in terms of defend, challenge, or qualify since that is the task of one of the prompts on the AP English Language exam (though I think I would use the defend, challenge, or qualify frame even if this wasn’t an AP class). One more requirement: For each essay, I asked students to write one essay using the Classical form of argument and the other using the Rogerian form. Although this requirement may have restricted students a bit, I found that students had to be much more thoughtful and deliberate about what type of claim they were making and which of the two forms would be better suited for that claim. As we discussed in class, generally the more controversial the claim (or the less the audience knows about the issue), the more likely a Rogerian argument would work better. This added layer of thinking about organization helped to elevate student writing. Students then read their essays in their peer response groups for feedback. However, students only chose one essay to revise and submit. Asking students to write two essays but only submit one allowed students to practice and play with both forms but then to make a choice about which one was worth pursuing through revision. Allow more reflection on the pieces. In addition the argument chart, I think I will have students write a brief “What I thought before / What I think now…” reflection on each of sources they analyzed. I think it’s this type of reflection is important for students to keep track of the way their thinking is being actively shaped by the texts they read. 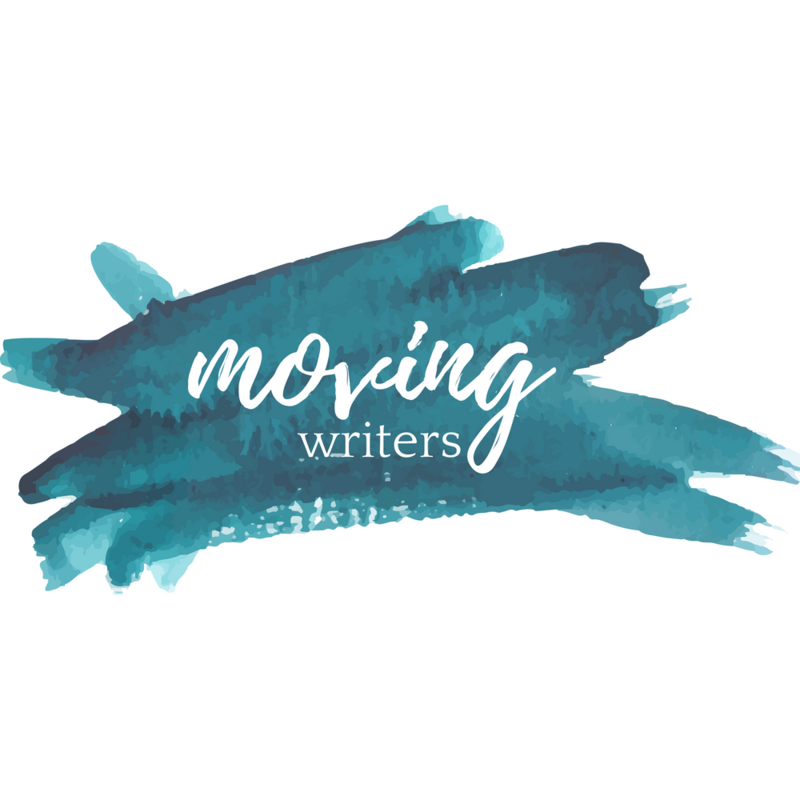 More mini-lessons on writing throughout. Although I had several mini-lessons focused on analysis and how to write from texts (how to identify a claim to defend, challenge, or qualify), I did not do many mini-lessons specifically on writing. I had done many mini-lessons all year long, but I think a few refreshers would have been useful. Instead of asking students to compose a written argument, I may allow students to compose arguments using the other media they studied. For example, given more time and support, students could compose an argument via podcast or comic book. 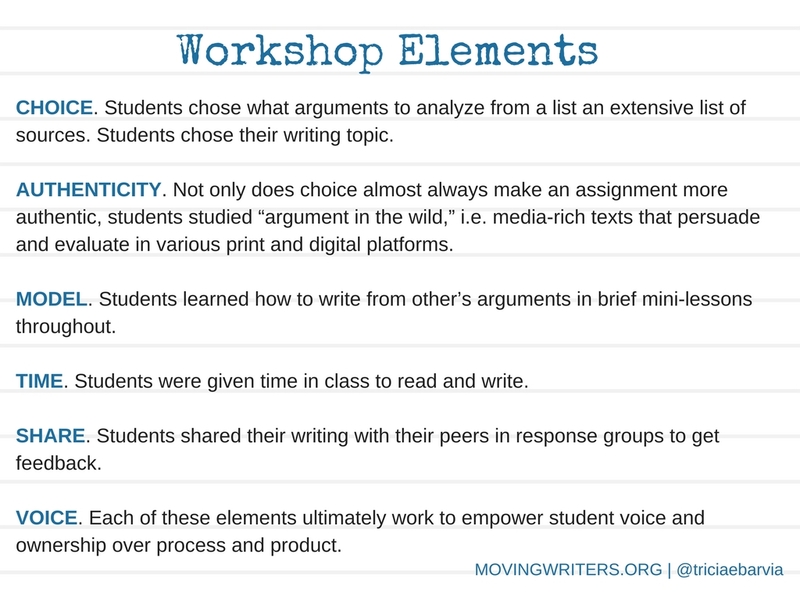 In general, I was happy with the essays that students wrote during this workshop, but more than anything, what I liked best about this workshop unit was the process and getting students exposed to all the ways in which argument exists out in the wild. What do you think? How do you expose students to media-rich arguments? 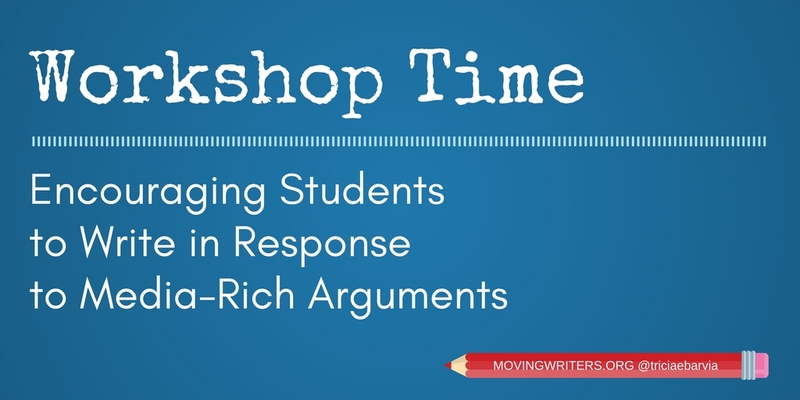 Do you have any ideas on how to get students writing in response to others’ arguments? Because this was my first time with this unit, I’d also appreciate any thoughts or suggestions, too! Please comment below.